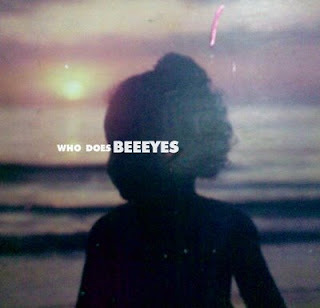 Ongakubaka: Bee Eyes - Who Does? Bee Eyes - Who Does? Unfortunately this is only a single, and the only track sent to me from these dudes from the Philippines, but it's so incredibly catchy that this single track alone deserves a post of its own. It seems like everything I've been coming across in 2009 sounds like a variation of this sound. Cheery but noisy bedroom pop. Bee Eyes sounds like a mix of The Beach Boys, Wavves, and Thee Oh Sees, with some pretty pubescent vocals. There's a few more tracks on the myspace page that sound very promising. Want to hear more. nice. thanks for sharing. visited their myspace, which led me to their blogspot. unfortunately any links provided there for downloads of other recordings were dead. oh well.